Our first afternoon together with our guests during a retreat in October, we hiked down to the cove where the light was golden. 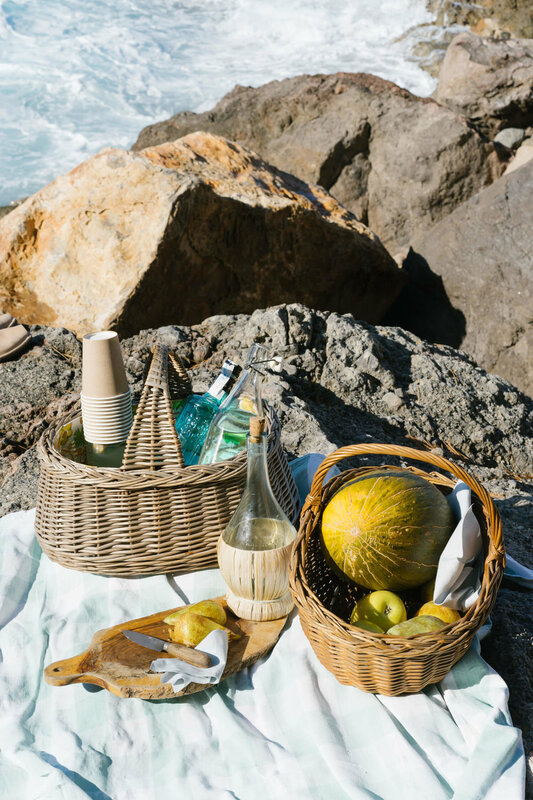 That afternoon the water was too rough to swim in, so we sat on the rocks, and unpacked the picnic from the baskets. Incredible melon from the market, Pomadas from Menorcan gin and freshly made lemonade…. the perfect afternoon drink.